CAMP PENDLETON, Calif. -- A shark attacked a woman wading in the ocean with friends, tearing away part of her upper thigh off a popular Southern California beach, authorities and witnesses said Sunday. The attack occurred Saturday near San Onofre State Beach in northern San Diego County. "All of the back of her leg was kind of missing," Thomas Williams, one of several witnesses who pulled the woman ashore, told the Orange County Register. "If she didn't receive immediate care, it was life-threatening." Williams said the woman was conscious and talking while onlookers used a rubber surfboard leash as a tourniquet to stop the bleeding. The beach is adjacent to the Camp Pendleton Marine Base. Marine Sgt. Asia Sorenson said the victim - a civilian - was airlifted to a hospital in unknown condition. 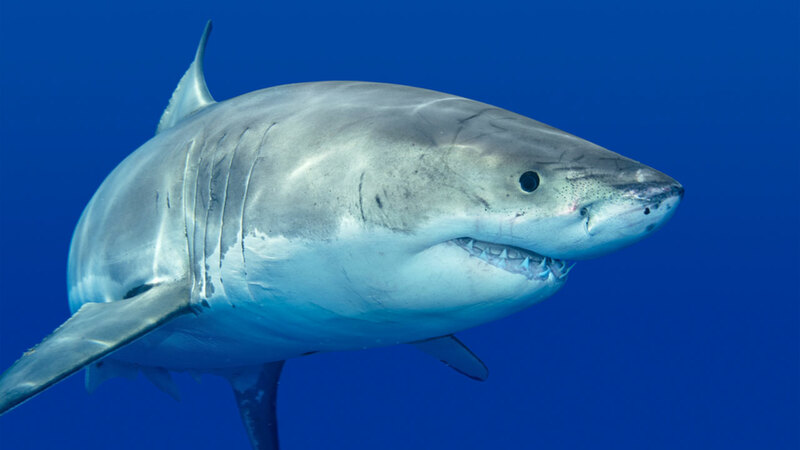 The injury was likely caused by a great white or a seven-gill shark, said Chris Lowe, director of the Shark Lab at California State University, Long Beach. Several sharks have been sighted in the area recently. Nearly a year ago, a woman was bitten by a shark while swimming off Corona del Mar, about 25 miles (40.23 kilometers) to the north of the Saturday attack. Experts estimated the shark was at least 10 feet (3.05 meters) in length, judging from the bite marks, which spanned her chest, hip and shoulder. Beachgoer Amber Booth was headed to San Onofre to watch the sunset Saturday with her family when a ranger told her the stretch of ocean was closed because of the shark attack. Booth, who often surfs at San Onofre, said the incident made her worry about her 8-year-old daughter, who boogie-boards often in the area. "There's so many kids in the water at San O," she said. "You don't really want to think about (sharks) when you're out in the water." The beach was expected to remain closed until Monday.